So we wondered: why can’t enterprise software implementation be easier ? Ultimately it’s about the user getting what they need. 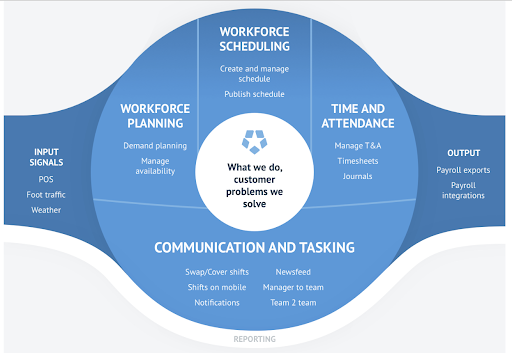 Our workforce planning solution is famous for its user app, which is wildly popular with customers because it’s intuitive and looks and feels like other apps you use . So we designed our enterprise platform with this founding idea: that it should be able to flex easily to your needs, rather than forcing you to adjust to its requirements. Custom developments can take time and cause support nightmares. However, businesses need a degree of flexibility in how a system works or is implemented. Deputy doesn’t amend core code for specific requirements. It’s one code base with all the speed of development benefits that brings. But we are endlessly flexible to accommodate specific automation and UX requests. How? A scripting layer means you can add to the default functionality, choosing from a library of script options for more flexibility. 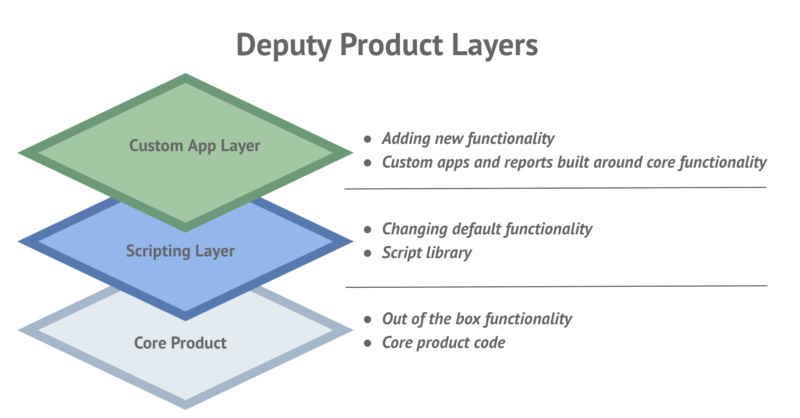 Finally, our custom app layer enables our team to configure your business-specific requirements without altering our core code. With this flexible approach, you can implement custom requirements quickly, with less testing time and no impact on the core code. And, because your custom configurations don’t affect Deputy’s ability to develop new functionality, QA it and roll it out, we can continue to enhance and develop the platform at pace while you personalise some elements of the UX. Ever come across that issue during an implementation that was specific to you? It wasn’t identified as part of the original scope and it’s not on the vendor roadmap? Our scripts will get you out of jail! For a UK customer we created a custom employee dashboard to show employees their sales data alongside their completed shifts. 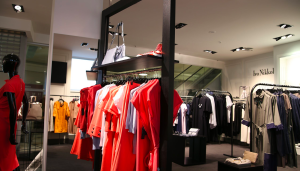 And for a US retail brand, we made it possible for their flexible pool of workers to select their workplace based on a number of criteria such as personal preference, their training, brand qualifications and proximity to nearby stores. Another essential feature of easy enterprise software implementation is that it should integrate smoothly with your existing processes and intellectual property. When new systems end up in silos, they cause more problems than they solve. 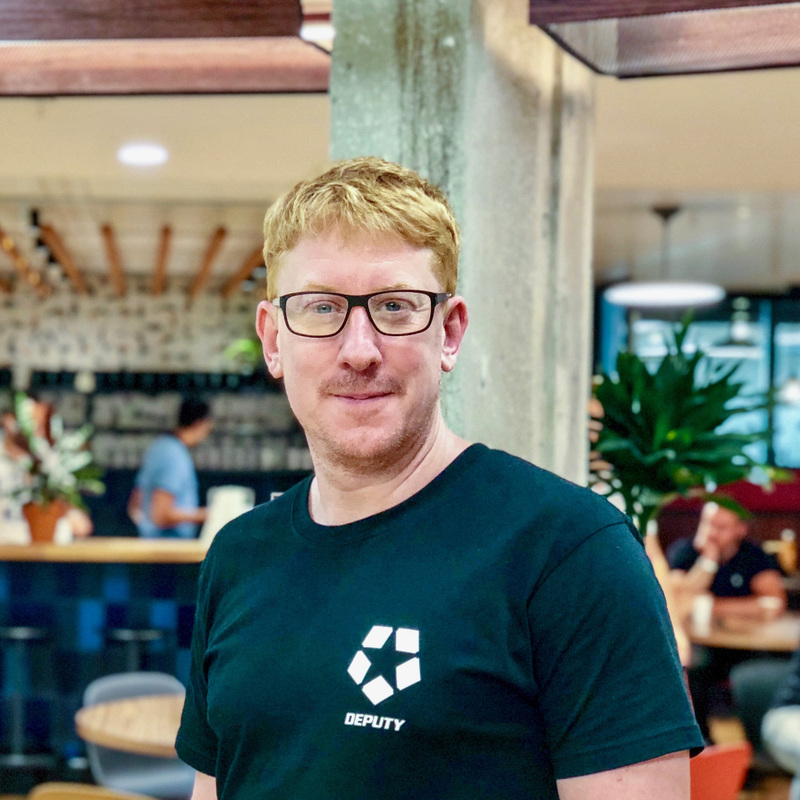 The flexibility of our API has allowed us to build demand signals and complex algorithms (through an ecosystem partner) into workforce scheduling to make sure you have the optimum number of employees on a shift. We even automate the shift creation and fill processes. Equally, most customers choose to integrate timesheets with payroll systems, simplifying the payment process by several orders of magnitude. Even the best enterprise software can fail if it’s hard to use or needs too much training. The key to user adoption is empathy for your users and we have it in spades! Deputy is an exemplary in this field, earning plaudits in our NPS surveys and on review sites for an intuitive and rewarding interface. It’s easy for managers and supervisors to get set up and running and for employees, it’s a simple app download onto their mobile device. “The staff are really happy with it”. With many enterprise software implementations, it can be hard to track how quickly the project is delivering on its expected value. In the Deputy model, we agree success metrics up front and aim to validate the initial phase against them within 3-4 months. Sample metrics could include reducing payroll errors or creating more accurate timesheets. This way, customers realise value fast, learn quickly and go on to easily add functionality, locations and users. Not all “large” implementations needs to be done on one common instance of software. Deputy has many examples of franchise and retail operations that use our “out of the box” platform (with app download for employees), which gives each store, shop or unit its own individual environment. HQ reporting can be managed with exports and existing tools to aggregate the data when required. In effect, this means that we can have a multi-location network live in a day. To learn more about enterprise software implementation with Deputy, visit our enterprise workforce management software page or book a meeting with one of our experts. David Kelly David Kelly works as the General Manager for EMEA with tons of Sales and General Management experience within HR and workforce management applications. David has deep expertise in SaaS, Cloud and Paas tech solutions.